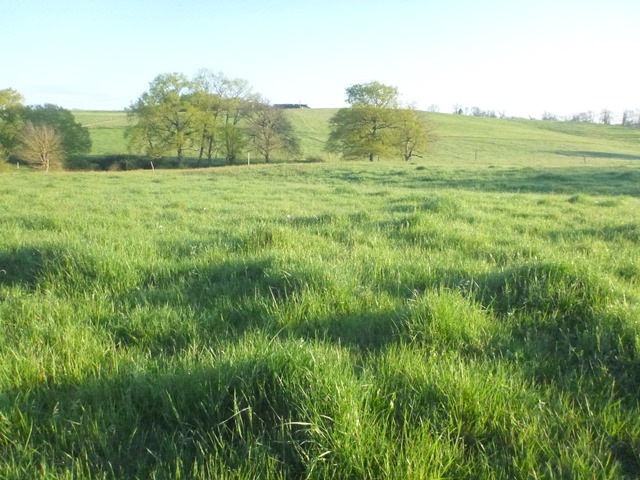 When a pasture is left to regrow you get grass like this. There are hills of grass. These are spots of high fertility from decaying cowpats, pee spots or maybe some decomposing hay. If the fertility is recent the cows won’t eat there, but they’re cool to look at. This grass is in Florida 3. The herd are moving here this morning. 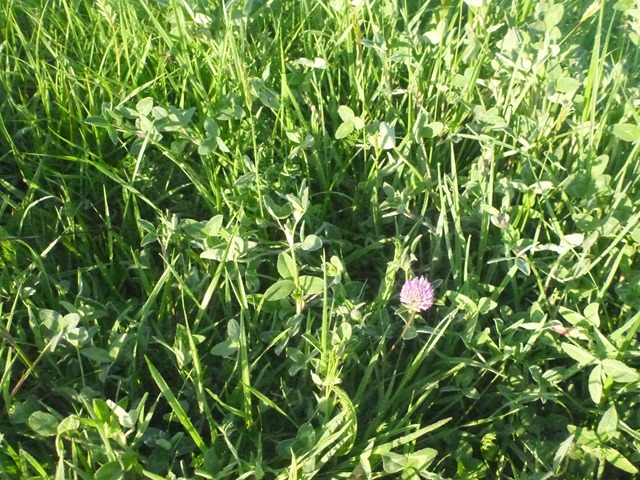 There are even a few red clover flowers this early in Spring. The herd aren’t particularly interested. They’ve been eating well and early morning sunbathing is pleasant when it is cold like this (4C at the time of the move). Still, it is a bright morning and the trees are getting their leaves. 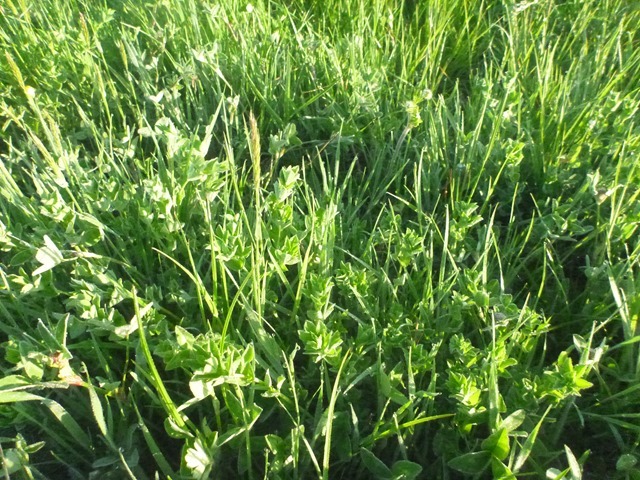 There’s plenty of wild lotier in amongst the clover and fescue and other random annual grasses. I occasionally drag my pasture with a section of chain link fence to spread the “pies” more evenly. Is there a reason not to do that over there? Hello Shane, I have scraped a few pastures (e.g. see http://bratlikeme.com/2014/03/20/the-great-escrape/ ) but it seems a fair bit of diesel, time, tool shuffling and tractor wear-and-tear for a short term gain. Longer term it all just spreads out and fades in. Still, I haven’t sold the harrows yet so maybe I’ll see enough of an improvement after this year’s experiment to do more of it. I’d say these are mostly urine spots and I’m not sure how much I’d get out of dragging them, I’ve run the cultipacker of a couple of fields to break things up and smooth out some rough ground but again I’m not sure there’s a strong long-term gain. I’m thinking using the harrows is better than rolling. What is “Florida 3”? Haven’t heard of it. 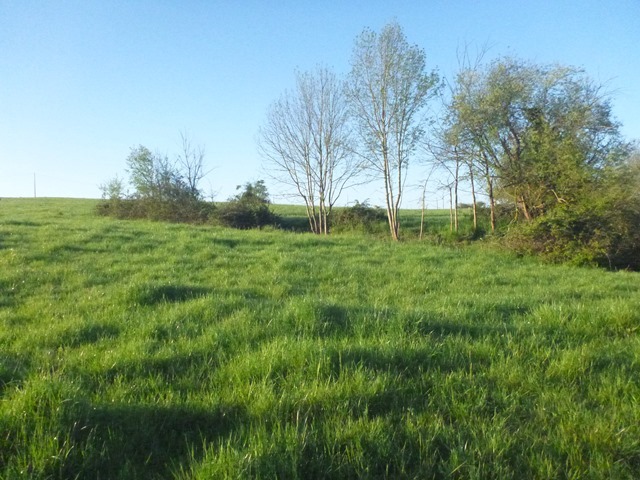 Nothing like pastures greening up in spring! 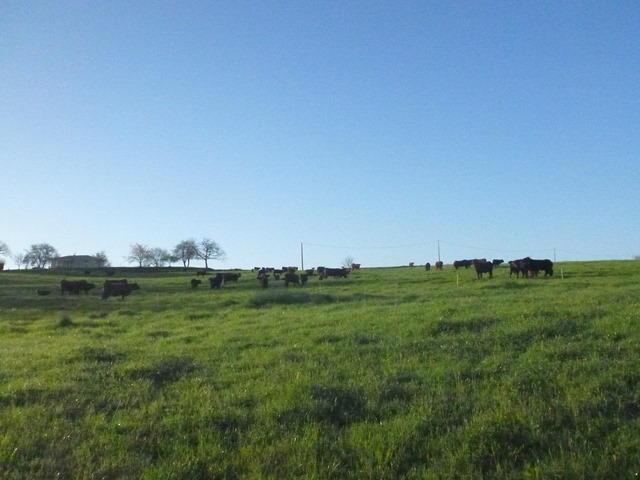 Florida is the name of one of our fields and the 3 is the third section of it – they are in 120 yard wide sections to make cattle moves easier. We’re Americans in France so there’s a bit of US flavor in our paddock names. Florida is the part of the farm closest to the new construction house on the east side. The NW corner is Alaska. The high ridge is Colorado. The old cornfield is Nebraska. The one with the sunken road is Sleepy Hollow. The largest ex-vineyard is California. There’s a Detroit, a Newman (with the mailbox – Seinfeld reference), Costanza, Emerson and a couple more. Sounds fun! I was wondering if it was a new warm-weather grass variety (but it didn’t make sense given your latitude :-)). About a tenth as good as Kentucky 31.